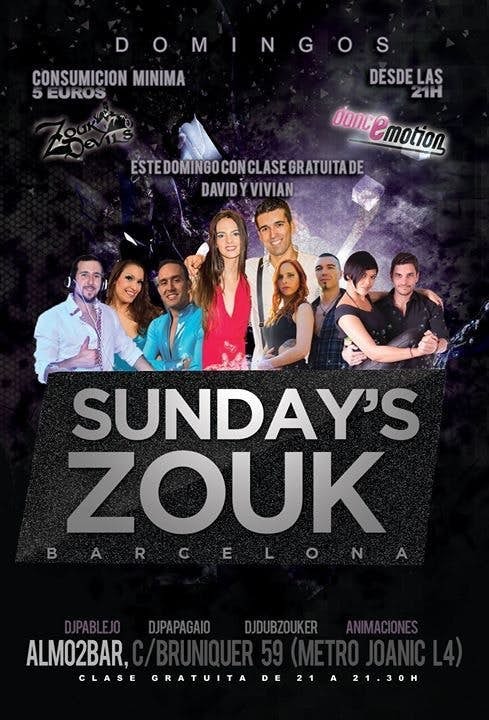 As every Sunday, in Almo2bar, you have a party of zouk brazilian with 30 minutes of gift! The only festival exclusively for zoukeros of any of the styles, supported and organised with the collaboration of the schools Dance Emotion - Centre de Dansa and ZoukDevils. The class of this week is run by David and Vivian don't lose it, will be full of elegance and sensuality!